As of June 23, 2017, Mover no longer supports SugarSync. Read on for the original article. Mover is thrilled to announce our SugarSync Connector! Now SugarSync users will have access to Mover’s services to migrate and backup their files! SugarSync is an awesome cloud synchronization service, and helps its users share and synchronize their files across all of their devices. With this Connector, your SugarSync files now have a broader reach than ever before! 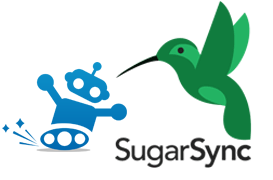 SugarSync is great for getting your data from A to B to C within SugarSync, but now it’s possible to get that same data beyond SugarSync and to other storages. Using SugarSync but want to get some files to a friend using Dropbox? Want to schedule backups for your SugarSync files to ensure they’re always up-to-date and easy to get? Businesses using SugarSync to maximize their organizational efficiency can now quickly and easily backup their team files to their secure data centers! If you haven’t already, go sign up and try out out SugarSync connector. And don’t forget to check us out on Twitter, Facebook, and LinkedIn!